New digital snooping laws being discussed in the U.K. and U.S. are generating a lot of negative sentiment from advocates of privacy and human rights groups. The new surveillance laws would allow service and platform providers to collect, store and even sell data to third parties and permit its perusal by various security services. In the U.K., the new laws would allow phone calls, browsing history, text messages, emails as well as activity on sites such as Facebook and Twitter to be logged and made available for searching in a central national database. The U.S. is seeking even more draconian powers that would enable corporations to exchange, consume and gather private information on internet users. Who Supports and Stands to Profit from Snooping? What are the Flaws in CISPA? Robin Toselli, a Dubai-based senior security specialist, said that “there are dozens of different ways people can thwart the proposed system and remove big brother from the equation completely.” He pointed out that securing web browser communications by means of TLS certificates, similar to those used by online banking, and encrypting your emails, can already remove 99% of potential areas of snooping. Ã¢â‚¬Å“They [the government] might still be able to find out your browsing history or block access to sites which they classify as dangerous, but as long as you use SSL they can’t see the contents of the transaction,” Toselli added. Masking browsing history can also be achieved by using any of the freely available anonymous proxy services. A simple internet search for “anonymous proxy” will reveal plenty of providers. Of course, the government might be blocking access to these and it could take some trial and error to find a provider that is available. The proxy service hides browsing habits from anyone listening in and can also be used to circumvent website access and censorship restrictions. Dubai has laws in place which ban the use of VoIP (voice over internet protocol) software, such as Skype, but because many types of these applications can utilize the SSL protocol, they are therefore difficult to completely eliminate without also affecting legitimate commercial traffic. The Skype website itself is not blocked in Dubai, but the download of the software is. Anyone who has the application installed prior to reaching Dubai can continue to use the service without restriction. The use of VPN (virtual private network) services can also provide a secure and encrypted tunnel to a restriction-free internet node. “It’s quite pointless trying to enforce these types of systems because people will always find ways to get around them,” Toselli said. There are alternatives which are just as effective, if not more so than a proxy service. The Tor Project, originally designed, implemented, and deployed as a third-generation onion routing project of the U.S. Naval Research Laboratory, is a network of virtual tunnels that allows people and groups to improve their privacy and security on the internet by masking their identity, source and the websites they connect to. Messages are repeatedly encrypted and then sent through several network nodes called onion routers. Like someone peeling an onion, each onion router removes a layer of encryption to uncover routing instructions, and sends the message to the next router where this is repeated. This prevents these intermediary nodes from knowing the origin, destination, and contents of the message. The U.S. government is currently trying to amend its National Security Act of 1947 to allow for greater sharing of “cyber threat intelligence” between the U.S. government and the private sector, or between private companies. The Cyber Intelligence Sharing and Protection Act, also known as H.R. 3523, has passed the House of Representatives by a vote of 248 to 168 and will now move to the Senate for further approval. Internet service providers like AT&T and Verizon and companies like Facebook, IBM, Intel, Oracle and Symantec are all supporting this bill. And for good reason, there is big money involved in data mining and its supply to paying customers. This is perhaps the first large step in privatizing the intelligence gathering sector. Earlier rumors that Microsoft had distanced itself from CISPA were rejected in late April — “Microsoft’s position remains unchanged,” said Christina Pearson, a Microsoft spokeswoman, in a statement to The Hill. Considering that Microsoft is one of the largest providers of free internet-based services such as Hotmail, MSN, Live & Bing, this is certainly worrying news. Furthermore, companies like Facebook, which already store large chunks of our private information, could stand to profit from sharing details with 3rd parties as well as governments. What is curious, is that most people seem to be okay with posting intimate details on sites such as Facebook and storing their private emails on platforms provided by Google, Yahoo and Hotmail, and yet, start to object the moment this information is to be shared with governments — indicating a clear stance on what is (and what isn’t) acceptable. Once the information is shared with the government, it wouldn’t have to be used for cybesecurity, but could instead be used for any purpose that is not specifically prohibited. Ã¢â‚¬Å“There are almost no restrictions on what can be collected and how it can be used, provided a company can claim it was motivated by ‘cybersecurity purposes,'” the EFF added. The estimated $751 million U.S. Cybersecurity budget for 2013 is not only an attack on universal human rights, but is highly doubtful to deliver on its promise of bagging the bad guys. As the population grows more tech savvy and freely available tools permit for complete anonymity and privacy, it is very unlikely that these snooping laws will provide any useful security intelligence on their intended targets. 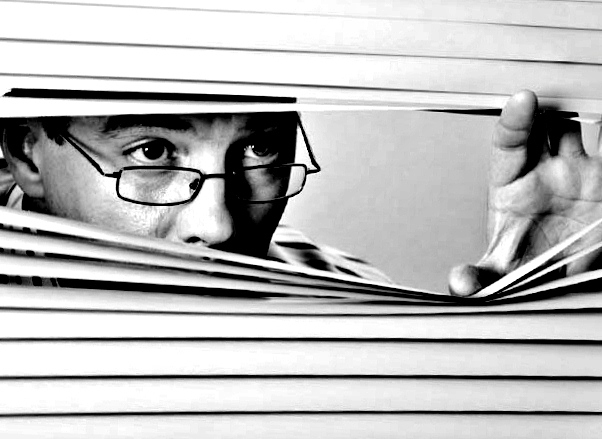 Ultimately, the snooping laws would merely infringe on the rights of unwary individuals who have no reason to hide their online activities or friend lists. Anyone with a legitimate need to stay anonymous and secure has all the tools and technology at their disposal to do so irrespective of what the governments do. The world is eagerly watching the situation in the U.S. because approval by the Senate would mean that only Obama holds the final veto vote to stop CISPA becoming law and setting a dangerous precedent for the rest of the globe. N.B. : It is reported that this post has since been banned and censored for anyone trying to access it from the UAE. Thanks Ahmed, glad to hear that it’s visible again. Can I ask which ISP you’re using?